The guest lodging at the Brown House is located one block east of U.S. 2 (away from the mountains) at the corner of Washington and Dawson Streets. It is also one block east of the Amtrak Station. 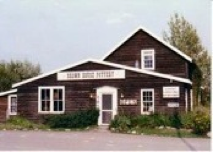 The Brown House is within easy walking distance of excellent restaurants, gift shops, car rentals, a horseback riding concession, a golf course and a laundromat. 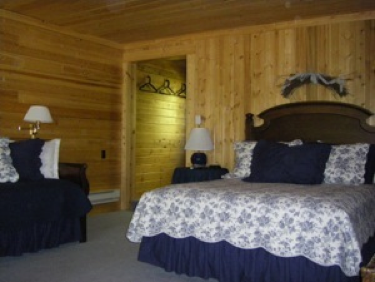 There are three recently remodeled and redecorated rooms available. Each room is a separate structure and not part of the main building. 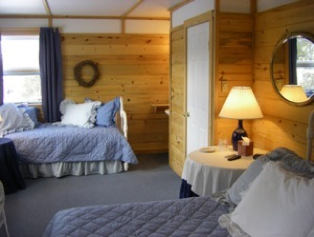 The upstairs room, with a view of the mountains, has a queen bed, a twin day bed. One of the downstairs rooms, decorated in traditional style, has a queen bed and a twin day bed. The other downstairs room, decorated in country cottage style, has a queen bed. A rollaway bed is available. All three rooms have private entrances, private baths, electric heat, television and air conditioning. Our rooms are non-smoking and non-pet. We have a 48 hour cancellation policy.